When it comes to healing acne, the sky ‘s the limit with treatments such as creams, serums, supplements, exercises, facial washes, toners, exfoliators, masks, makeup, prescription creams, natural creams, natural toothpaste, natural laundry detergent … you name it, someone has suggested it for acne! All these options can be super overwhelming and leave us feeling discouraged and defeated. How do you even know where to start? Well, the good news is, we can offer some assistance in this area! When you get those horrible, deep, inflamed pimples, ice them. Icing them will reduce inflammation and redness and allow them to heal faster. Change your pillowcase weekly. Turns out, your pillowcases can become a petri dish of dead skin cells and bacteria. If you have acne prone skin that is easily inflamed, the bacteria from your pillowcase could be a contributing factor to your breakouts. 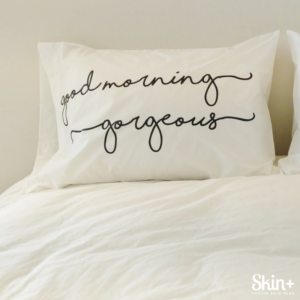 By washing your pillowcase every 3 days to a week, you are killing that bacteria and washing away those dead skin cells! Remove dairy from your diet and other acne causing foods. 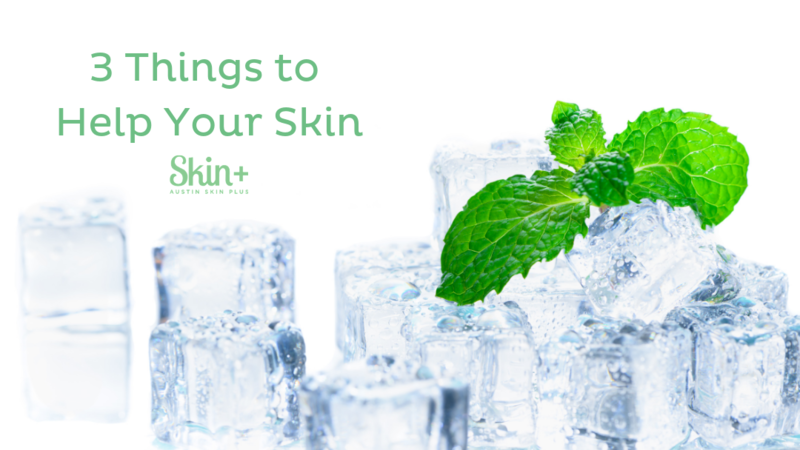 We have written other blogs about the effects of dairy on the skin and food tips for clear skin, so definitely check those out! Dairy, along with other foods, can mess with your hormones and end up causing breakouts. And of course, one of the best things you can do for your skin is schedule a consultation at Austin Skin+! Our Skin Coaches do more than dole out a “one size fits all” cream or wash. We tailor all your skincare treatments to you by learning more about your body and what triggers your breakouts. No more randomly testing out new skincare, no more trying random diets, no more stress! Let us do the heavy lifting for you, all you must do is reap the benefits!